Snap Circuits Jr. Set only $19.25 (Was $35)! 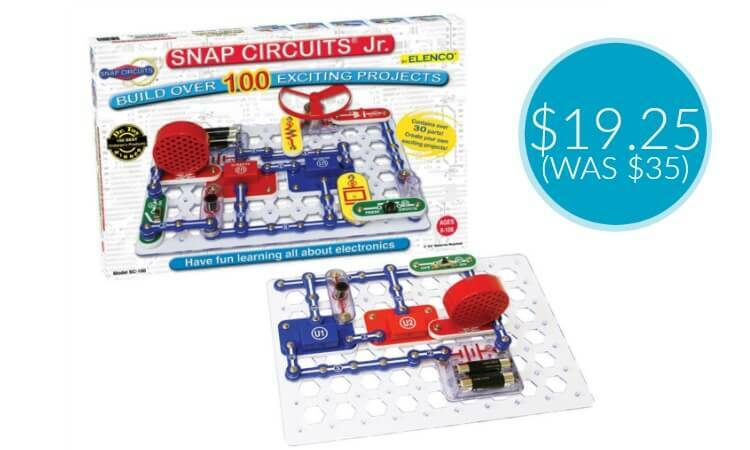 Home / Deals / Online Deals / Amazon Deals / Snap Circuits Jr. Set only $19.25 (Was $35)! The VERY popular Snap Circuits Jr. Set is marked down to only $19.25 today and we haven’t really seen this on sale much! It is normally $35, but it down to only $19.25 and I doubt this deal will last very long, so hurry and grab it now!